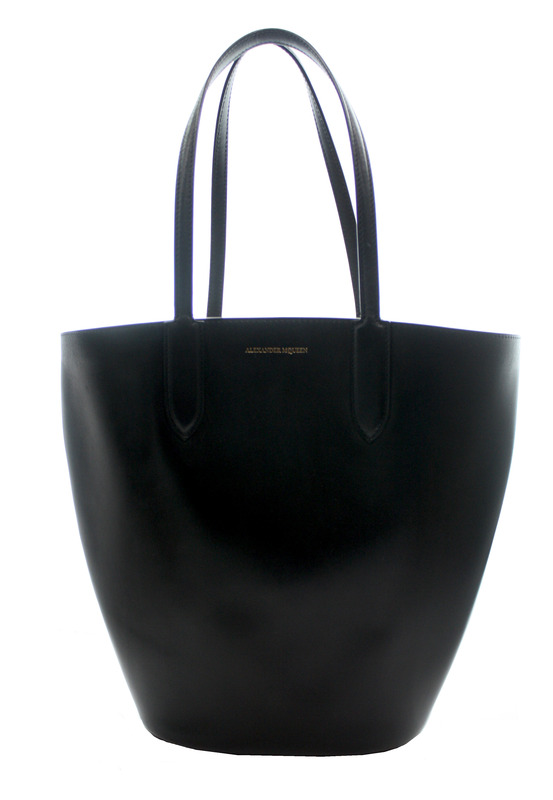 Alexander McQueen Bucket Tote Calf Leather Tote with One Inside Gold Zipper with Black Leather Zipper Pull, Leather Straps with Tonal Stitching. 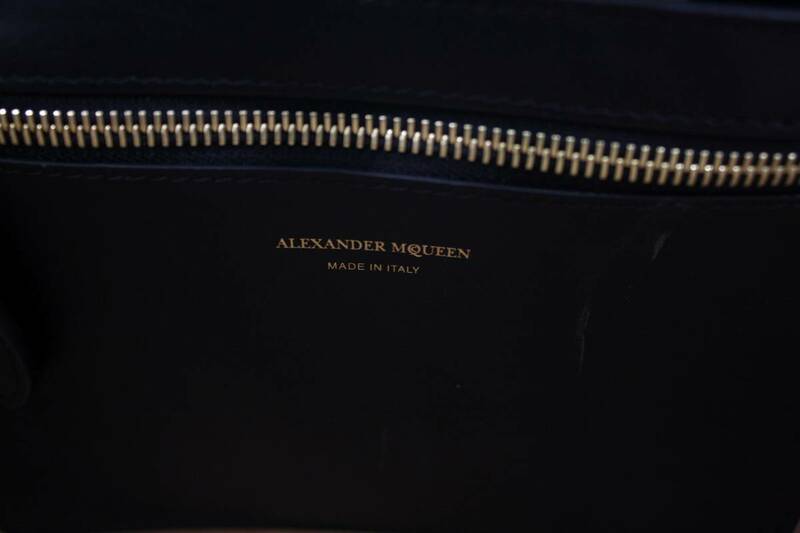 Shop Alexander McQueen Totes At The StealVault.com Up to 90% Off The Retail Price. 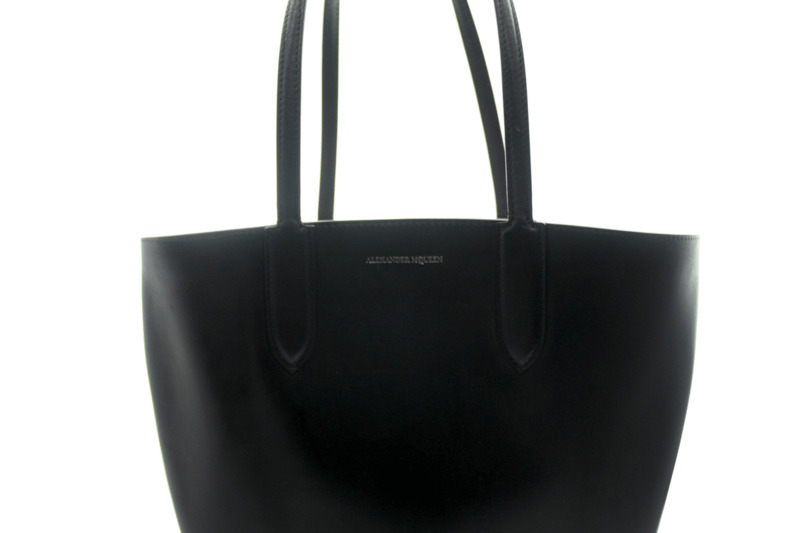 Depth Approx. Top: 6.75" Bottom: 4.5"